Move over Seattle, the Portland Timbers have an even bigger rival—a team of Tanzanian teenagers. The MLS Cup Champions have been formally challenged to a match by a school team who captured the heart of “Timber” Jim Serrill. Over the summer, the former mascot and Director of Love and Celebration visited Mungere School in rural Mto wa Mbu. As well as overhauling the school garden, he became good friends with many of the students in a bond formed by a mutual love of soccer. The students have now written to Timber Jim and—in their best handwriting—asked if his beloved team would like a match against the school’s Mungere Red Rhinos. The teenagers already play in donated jerseys from the Timbers, so surely a match is the next logical step in the growing friendship. Timber Jim explained: “It was so nice to receive a letter from Emmanuel and Kelvin requesting a match. I had a great time on my visit and I feel very fortunate to have made so many good connections. “These kids don’t have much but they are so dedicated to their studies—and to sport. The Timbers and Timbers Army can make a very big impact in lots of lives in the future. 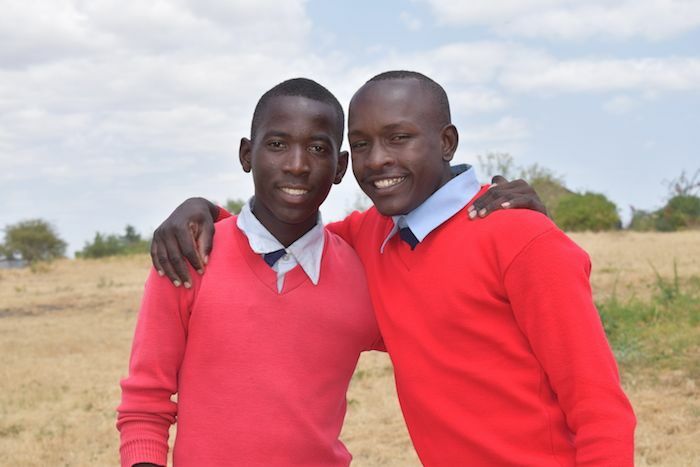 Mungere School, in northern Tanzania, was started in 2012 by ardent Timbers fan Ashley Holmer. In the last six months, the Mungere Red Rhinos have won one match, drawn two and lost one. They may not quite have the winning streak of the Timbers but they certainly make up for it in resilience and enthusiasm. And they are unique in having the only female footballer player in the district—Tasiana Kabuka—in their starting 11. The letter was written by Team Captain Emmanuel Hendry and leading goal scorer Kelvin Isaya.